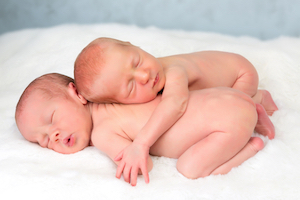 Are you worried that your twins are being seen as ‘the twins’ rather than individuals? 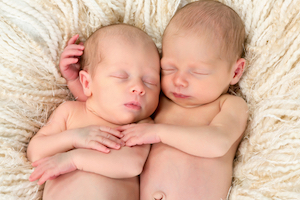 Twin mum and founder of Twinfo, Naomi shares five tips on how to foster individuality in twins. 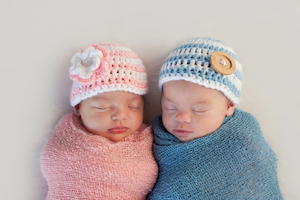 You will never forget the moment you find out you are pregnant with twins or triplets! Right from conception, your multiples are together. They begin as womb mates and then more often than not they become roommates. And then, more so for their own sanity, the majority of parents keep twins/triplets are on similar routines. This means they are fed together (or literally one after the other), bathed together (or after another), they are fed the same foods, and some parents even dress them in matching outfits. Ironically while parents are very concerned about treating their multiples equally, this can lead to difficulties in allowing the child to develop their own identity. 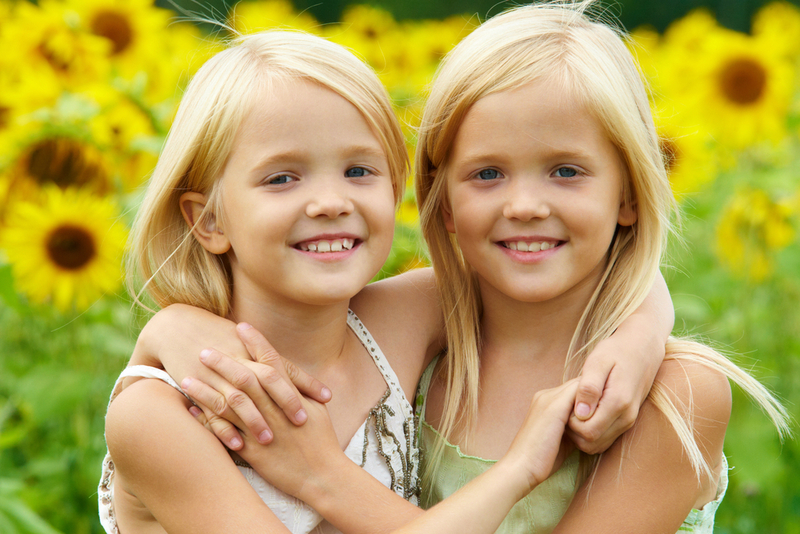 Here are five tips to help foster individuality in twins and multiples. Recognise and acknowledge their different strengths and weaknesses, their individual likes and dislikes and encouraging their different interests. Don’t assume that that because one likes capsicum the other will as well. My seven year old twins have very different food tastes. One only likes green apples and the other will only eat red apples! I acknowledge this by buying both types of apples and always ensuring that the green apple goes in the right child’s lunchbox. Celebrate when one child wins an award, or does well in a swimming race. While this is difficult, especially if you have other children, it is very important to find some special one-on-one time. Note that this doesn’t have to be a whole day. Take what you can make, be it just 5-10 minutes of uninterrupted time with one child. This may be as simple as reading a book of their choice to just that child, or taking one grocery shopping while the other stays at home. Take advantage of the fact that maybe one wakes earlier, or maybe isn’t as tired as the other to spend 10 minutes playing with their favourite toy with them. Sometimes we might go to the shops as a family, and then split up, taking one child each. Some families I know have put their multiples into daycare on different days so they can spend one day a week with just one child. Other families have a deal with the daycare that they just pay for one spot on a certain day (or two spots if you have triplets) and just alternate who goes on that day. This is a bit more financially viable, but will depend on your daycare. Depending on the activity, this has several benefits. Not only are you recognising your multiples as individuals and allowing them to explore their own interests, it may (depending on if you have other children) allow you to spend that time just with the other child. So while Jilly is doing gymnastics, for example, you can spend time with your other child/children. Alternatively, book their swimming lessons one after another so while one child is in the water you are free to spend time with then other/s. Or you can see if you can negotiate the same thing as mentioned previously about the daycare. For example, with twins, just book one lesson and alternate who goes in the water, allowing you to spend time with the other child. As much as some parents desperately would love a child free night, it is equally as important to just spend one-on-one time with your children. Sending one (or more) child/ren off for a sleepover is a perfect way to spend some quality time with just one of your children. This allows the child at home to have the full attention of their parent/s. And having a single child at home seems sooooo easy!!! If your children are still very young, maybe see if they can just have a few hours during the day at a family members house, while you stay home with just one child. Older multiples do not have to have the same playdates. It is perfectly reasonable to organise a playdate for just one child. Obviously if they have the same friends, then it is totally acceptable for everyone to play together. As good as this may sound, in reality at the end of the day you still need to do what works for your family. And as we all know, having multiples means sometimes the best intentions don’t go according to plan.